Pay only P 1,205 a Month for 12 months. Or pay only P 2,282 a Month for 6 months. 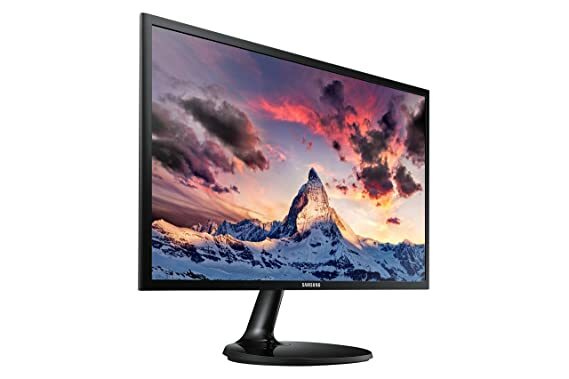 Featuring a super-slim and sleek profile the Samsung SF350 monitor measures less than 10mm at its smallest width point. Make a stylish statement while staying productive with the 27" screen. The simple circular stand will add a modern look to your space. AMD FreeSync technology allows you to enjoy smooth images, even during the fastest moving scenes. AMD FreeSync syncs the screen refresh rate with the frame rate of your content to minimise input latency and dramatically reduce image tearing and stutter during gaming. With its ~5ms response time, you™ll see the fastest on-screen motion clearly and smoothly with less motion blur, judder and ghosting. The fast response time provides a steady visual, allowing you to experience your gaming at the highest level. Provides clean and crisp picture quality in 1920x1080 resolution. Wide Viewing Panel provides a 178° wide viewing angle horizontally and vertically, so that you can experience the optimal screen from any position. Magic Upscale is designed to help the appearance of lower quality images and video so you can enjoy content regardless of the original source. © Copyright 2007-2019 Asianic Distributors Inc. All rights reserved. Logos on this web site are registered trademarks of their respective companies.